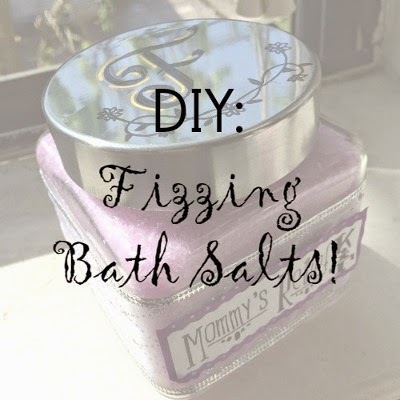 Today I'm going to show you how to make your very own fizzing bath salts! 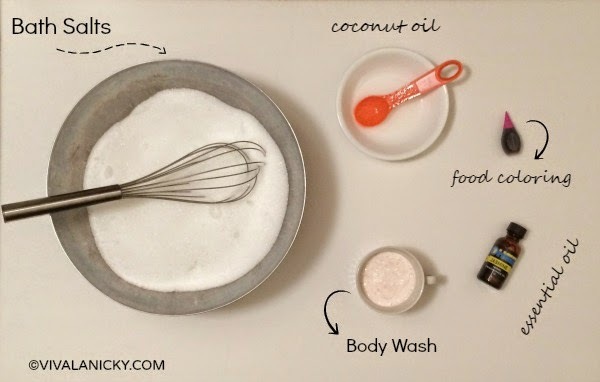 Lately I've been obsessed with pinterest and I came across this amazing idea of making scented fizzing bath salts for relaxation.I looked at a bunch of tutorials and decided to create my own twist! Personally, being a mommy and all, I thought that this was a very appropriate gift for my mommy and also mother-in-law for mother's day since they are amazing human beings who work extremely hard and need a little down time to relax. In a large bowl, mix the Epsom Salt and the body wash. At first it may seem like it's not enough body wash but trust me it is plenty. Keep mixing until it is well combined. Add the tablespoon of coconut oil, the 2 drops of essential oil and 2-3 drops of the color of choice and mix really well! On the foil wrap, spread the mixture out into a think layer and let dry for 18-24 hours. 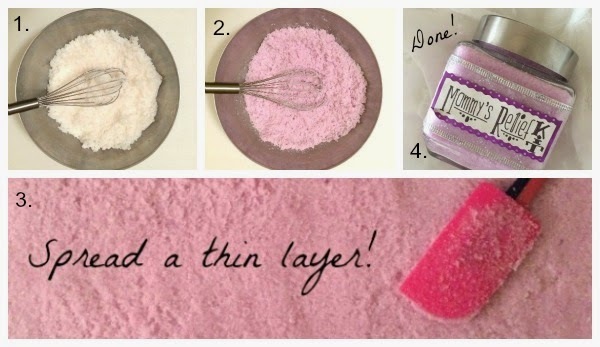 Once it is dry break up the mixture and spoon into the empty containers. Decorate the containers as you may like and you are done! The best part about making your own gifts is that they come from the heart. I really enjoyed making these two jars for my mommy's. I had most of the ingredients at home and the things that I didn't have I found at the dollar store. For less that $15 I was able to make amazing gifts!